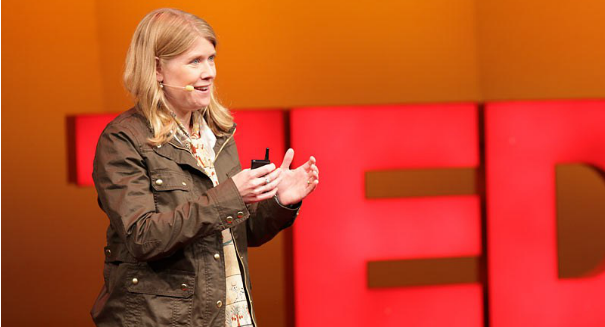 Archaeologist Sarah Parcak has just been announced as the 2016 TED Prize winner, and she's won a cool $1 million. An archaeologist who uses satellite imagery to find and protect archaeological sites around the globe has just won the $1 million first prize as the 2016 TED Prize winner. Sarah Parcak, who is a specialist in Egyptology at the University of Alabama at Birmingham, was chosen to get funding for her project to spot important archaeological sites in the Middle East — as well as elsewhere around the globe — in her role as a so-called “space archaeologist,” according to a Forbes.com report. Parcak has been working on infrared imagery in order to spot features on the ground that might not be recognized by the human eye as possible important archaeological digs. The project would also use advanced computer algorithms to determine what features could indicate an the ruins of an ancient temple and what is simple a big pile of rocks. She’s already seen some tremendous success, identifying 17 features that could be unknown pyramids in Egypt, in addition to a thousand tombs and three thousand settlements, according to the report. She gave a TED talk back in 2012 where she described her method. This victory as the TED prize winner could result in more attention for her project, which could attract even more funding. There is still a lot to be uncovered when it comes to ancient sites in the Middle East, and her project opens up exciting possibilities as far as making new advancements in understanding early human culture and civilization.